I two posts last week. The first was about the release of Pressed Pennies by Steven Manchester. 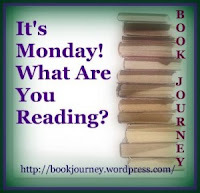 The second post was a recap of my April reading. Yes, I just got around to publishing that! I am hoping to write a few reviews this week since I have a few to do. I read some of Pressed Pennies by Steven Manchester, and then I got wrapped up in another book, The Orphans of Race Point by Patry Francis. Then I went away for the weekend and didn't take a book, figuring I wouldn't have time to read. But there was one evening when I had a little time, and so I started a book that is on the Kindle app on my phone, Insurgent by Veronica Roth. Usually I'm a one-book-at-a-time girl, so having three books started is a bit overwhelming for me. I have to say I'm really enjoying the Patry Francis book the most, so I think I'll finish that and then move on with the others. As far as the kids go, C read another Dragonbreath book: No Such Thing as Ghosts by Ursula Vernon. It's the fifth book in the series. He convinced me to buy it, and then he read it in less than an hour. On a good note, he likes to re-read these books, so I guess it's good that we've been buying the series instead of borrowing. M got a LEGO Friends book, The Birthday Surprise by Tracey West. She and my mom read it over the weekend and said it was good. 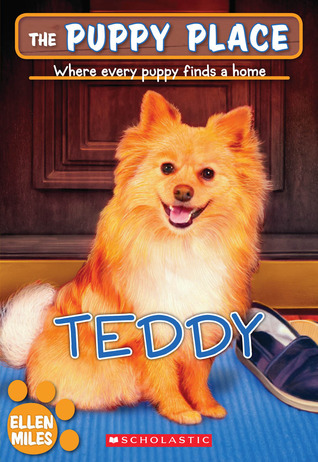 We also read about half of The Puppy Place #28: Teddy by Ellen Miles last week as her guided reading book. I expect we'll be reading the rest this week. It's a cute story about a girl trying to train a dog not to bark so much. Happy Anniversary! 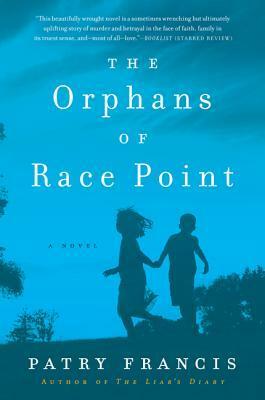 The Orphans of Race Point sounds really good. Have a great week. Thank you! And that book is very good so far! Thanks for stopping by! Hey I just posted my April summary, too, so you have company. I'm like you - can't juggle multiple books at once. Glad to know I'm not alone in being so far behind!! Hope you're having a great week!